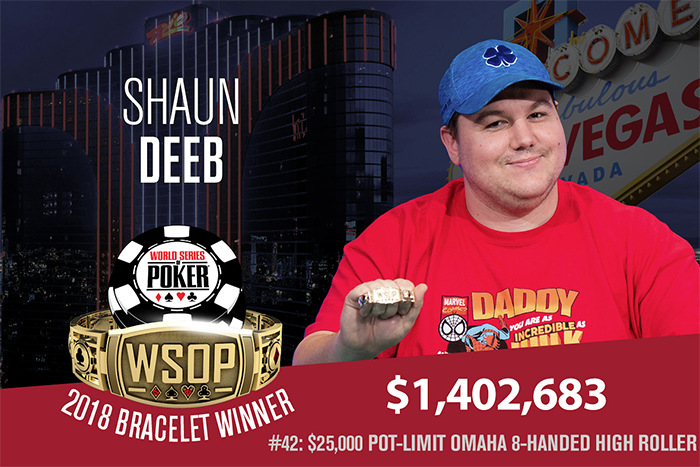 Read more » Shaun Deeb Crowned 2018 WSOP Player Of The Year! 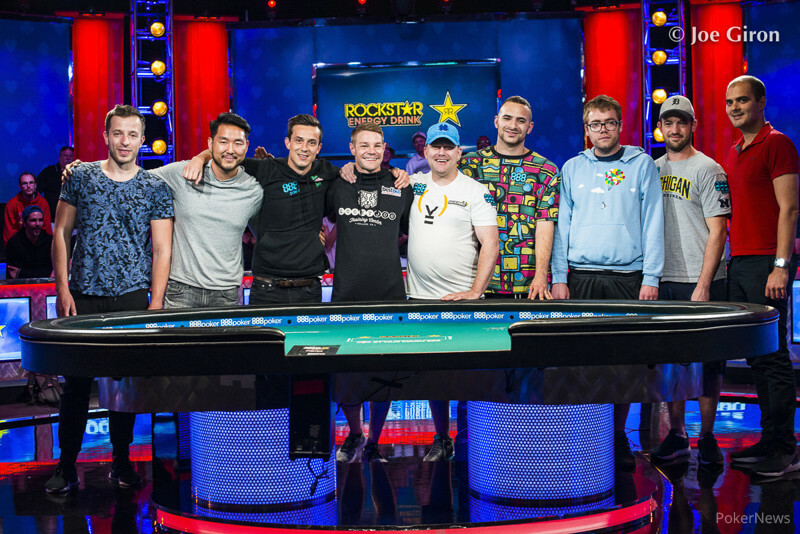 The final table has finally been set in the 2018 WSOP $10,000 Main Event World Championship. From a player field of 7,874 entries in total (the 2nd biggest field in the tournament's history), now there are only nine players left to battle it out for the championship gold bracelet and the first place prize money of a whopping $8.8 million. Posted on Thursday, July 12, 2018 by "T". 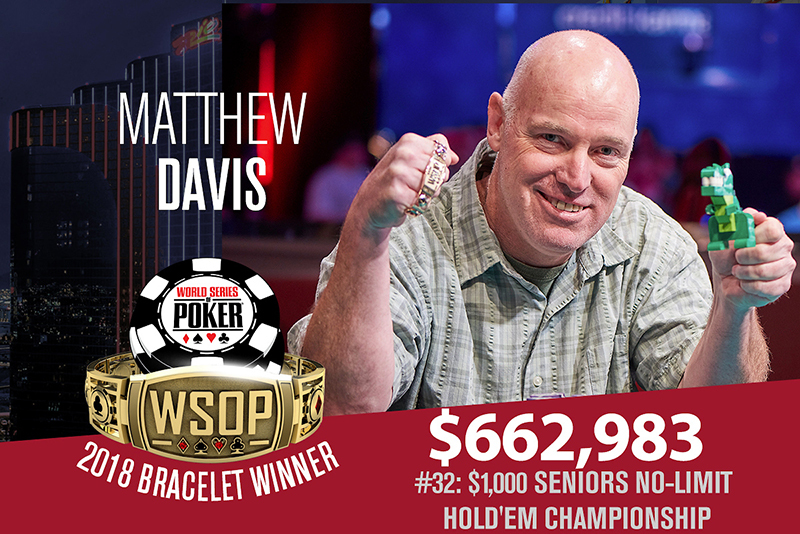 A total of 109 survivors out of the initial 7,874 entries returned to Day 6 of the 2018 WSOP Main Event at the Rio All-Suite Hotel and Casino, and all of them are vying for the number one spot that gives them not only a golden bracelet, but also a whopping $8.8 million cash prize! At the end of the day, the 100+ contenders have been narrowed down to 26 hopefuls left, and the one to lead them on this day was Aram Zobian with 41,585,000 chips. 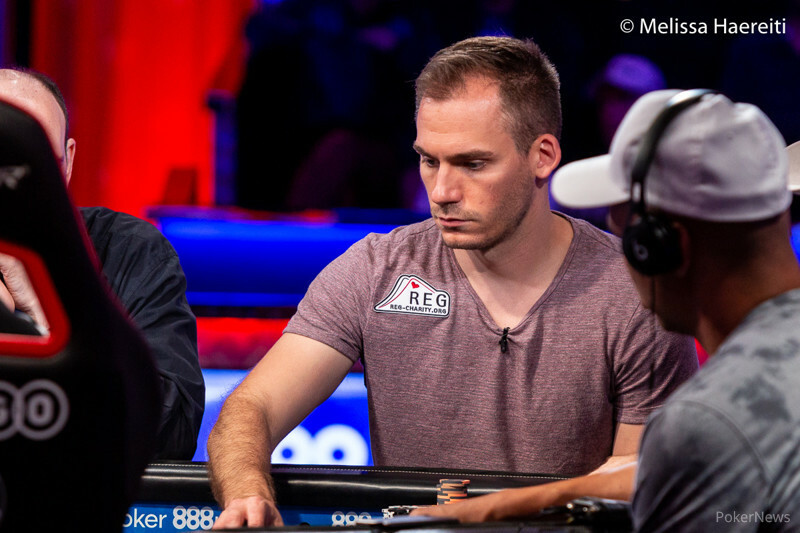 A total of 7,874 players jumped into Event #65 $10,000 NLHE Main Event World Championship, and now only 109 players remain as Day 5 ended in a rather peculiar way. Day 5's chip stack hero is Houston resident Michael Dyer with 12,180,000. 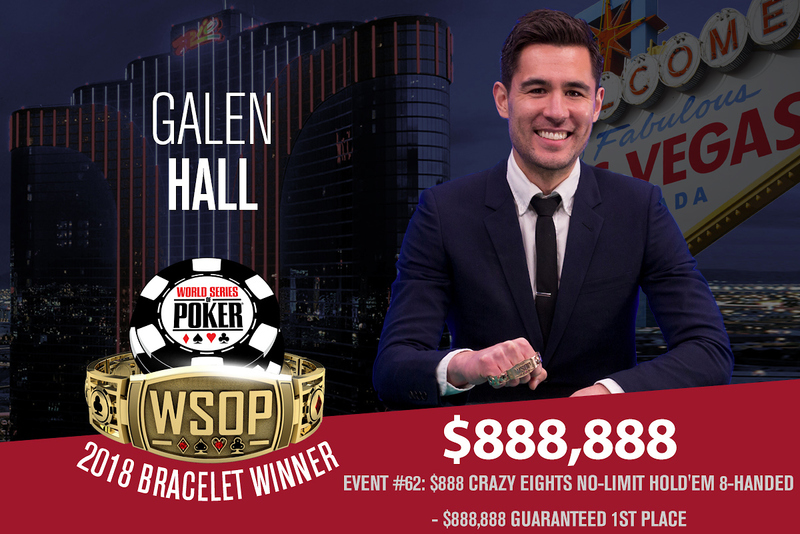 Event #62 $888 Crazy Eights NLHE 8-Handed has been bagged by Galen Hall, who outlasted a massive field of 8,598 player entries, winning his very first WSOP gold bracelet and the cool $888,888 top prize money after managing to hold on and survive 4 days of extreme poker action. Posted on Saturday, July 07, 2018 by "T". 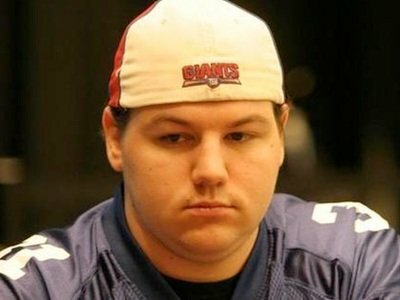 On Monday, the World Series of Poker has released the list of the 10 finalists eligible for the 2018 Poker Hall of Fame class. Just one or two will be inducted. 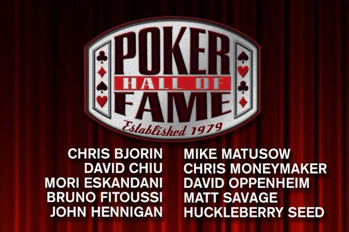 The list of 10 poker players was created after a process of public nomination and a vetting of these nominations by the Poker Hall of Fame Governing Council. The decision now falls in the hands of 28 living members and a few journalists to determine who gets inducted. 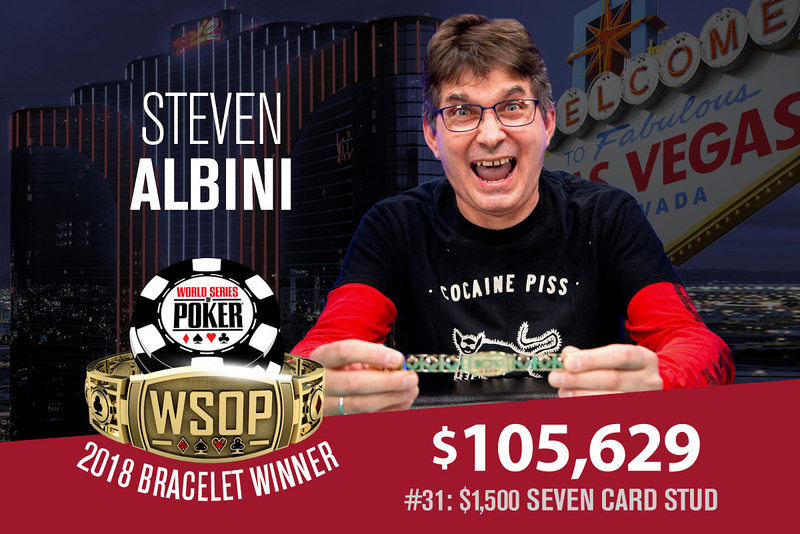 Let's take a look at what's happened in the starting 3 days of WSOP's Event #65: $10,000 NLHE MAIN EVENT - World Championship. A total of 925 players participated in the first Day 1 flight of the Main Event but after 5 levels of 2 hours each, only 659 survived to advance to Day 2. Timothy Lau claimed chip leader position (338,700 chips), followed by Truyen Nguyen (324,800) and Chris Fraser (316,100). 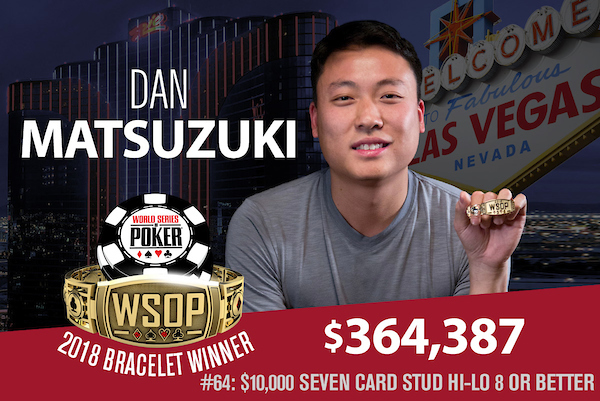 Dan Matsuzuki, a resident of Tempe, Arizona, has won his first ever gold bracelet in this year's WSOP Event #64: $10,000 Seven Card Stud Hi-Lo 8 or Better. 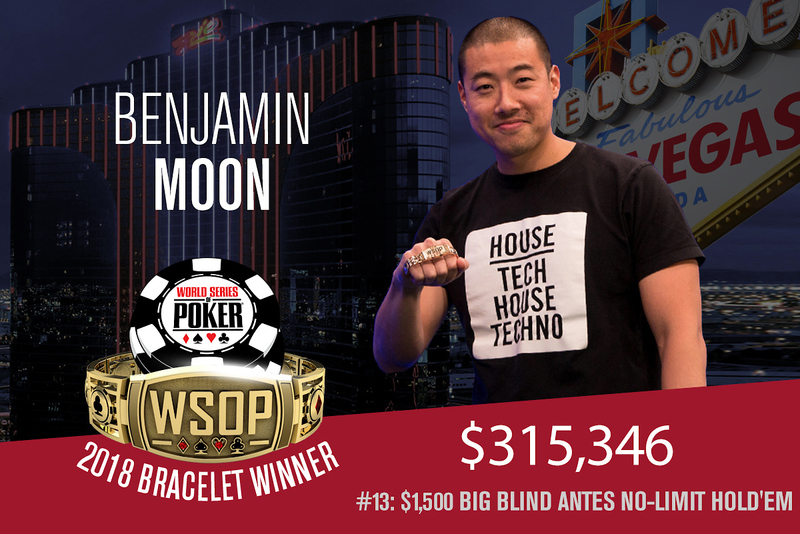 The first place cash prize of $364,387 in this event is now his biggest career cash as his previous best is just a 9th place finish in the 2015 WSOP $1,500 Ten Game Mix 6-Handed for $9,018. 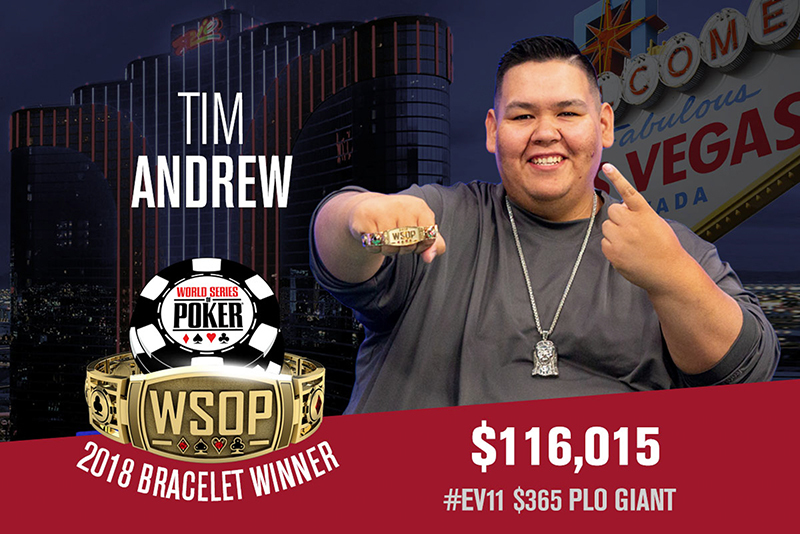 Scheduled from June 3 to July 3, 2018, Event #11: $365 PLO GIANT of the 2018 WSOP has now come to an end, and the one who outlasted a field of 3,250 entries is Canadian Tim Andrew, who has won his very first bracelet with his first cash at the WSOP series. 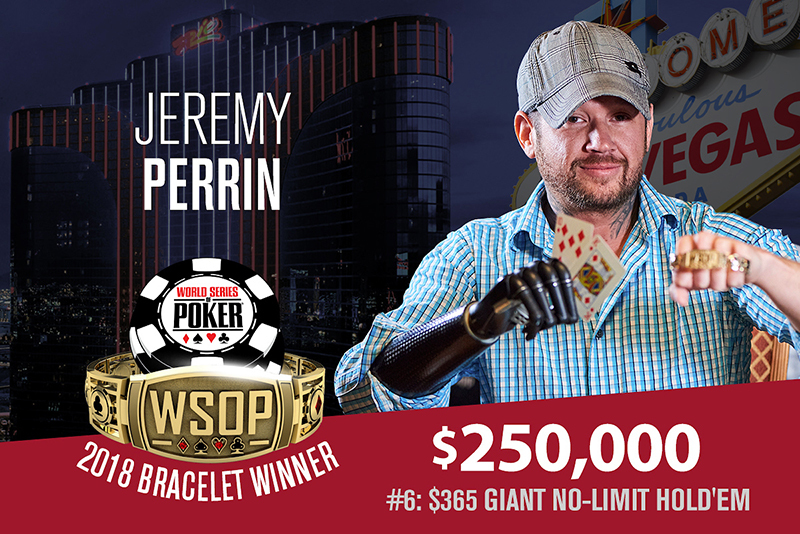 There were a total of 8,920 players who signed up for Event #6: $365 GIANT NLHE (scheduled from June 1 to July 1, 2018), and in the end it was Jeremy Perrin who emerged victorious, taking home his first-ever bracelet and a nice sum of $250,966. 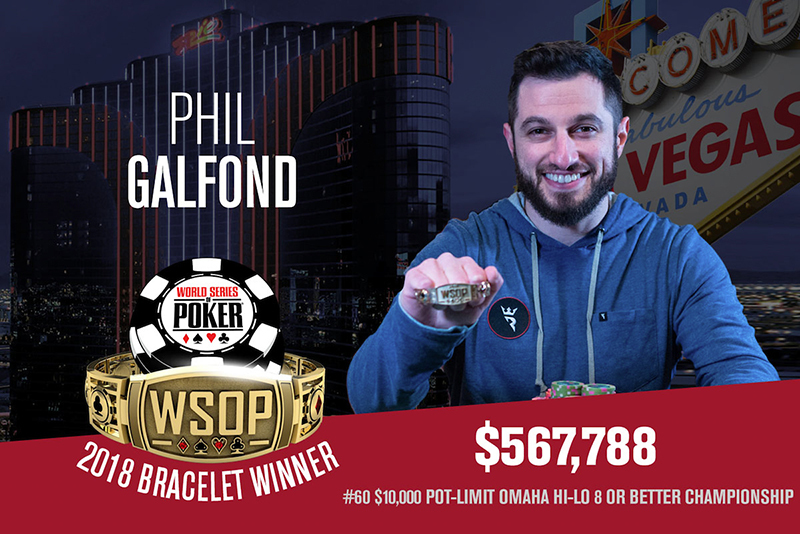 This year at the WSOP, Phil Galfond now has a total of three bracelets to his name, after he won Event #60: $10,000 PLO Hi-Lo 8 or Better Championship which had a player field of 237 entrants. 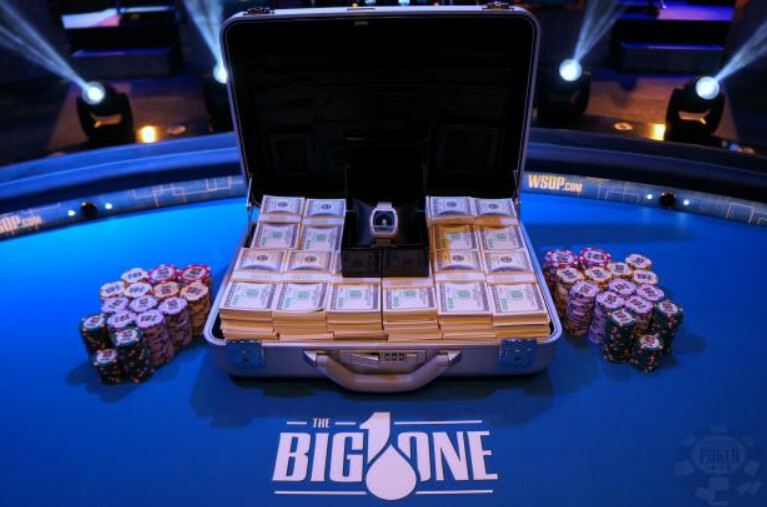 Along with the bracelet and the title, he took home the first-place cash prize worth a whopping $567,788. 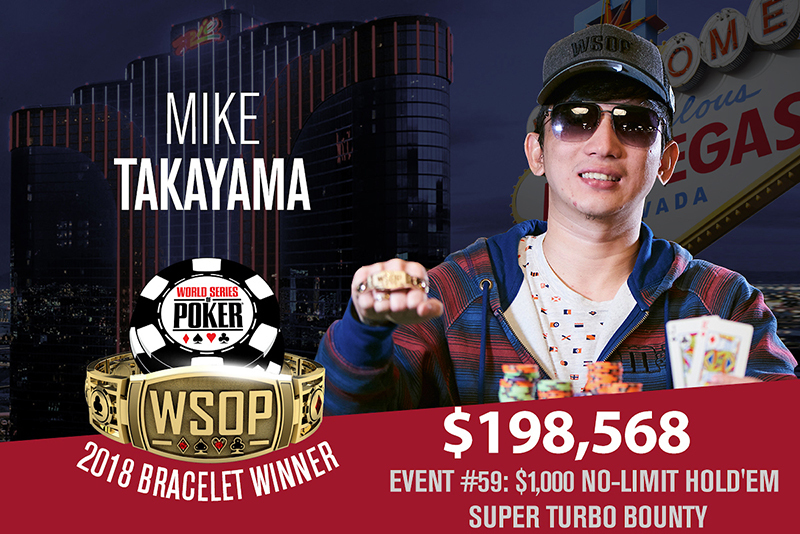 After defeating a player field of 2,065 entries in this year's WSOP Event #59: $1,000 NLHE Super Turbo Bounty, Mike Takayama has officially become the first Philippine poker player to have ever won a WSOP bracelet in the history of the prestigious annual poker festival. 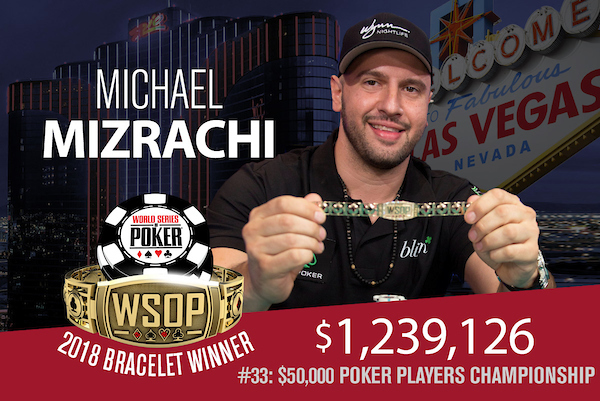 His success from defeating Italian poker player Lorenc Puka has earned him a gold bracelet and an awesome $198,568 first-place prize money. The prestigious annual poker festival referred to as the World Series of Poker (WSOP) is full of surprises. The long hours and especially the consecutively long days can get to one's nerves, but it certainly isn't right if one player harasses another for no particular reason at all. 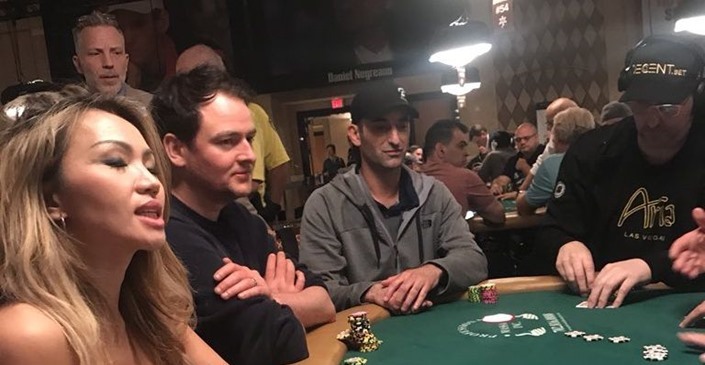 For example, an intoxicated English poker player named Stuart ‘NutterRutter' Rutter tried to harass the 14-time bracelet winner Phil Hellmuth as well as the other players at the table, resulting to multiple penalties and the security behind his back. Posted on Friday, June 29, 2018 by "T". 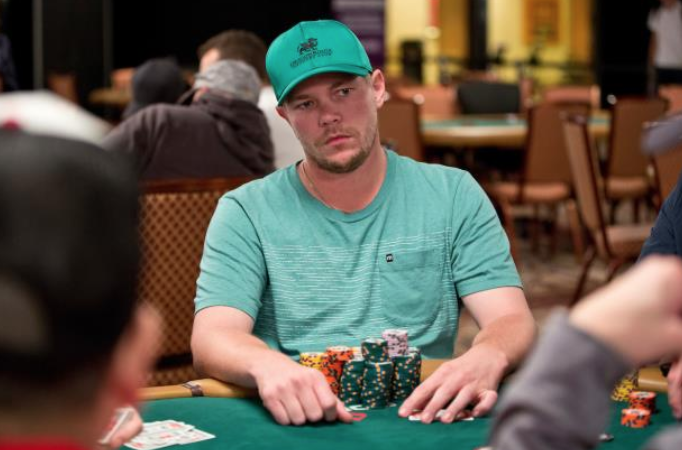 Scott Seiver came back from being short-stacked at the bottom of the counts during five-handed action to make it to heads-up play against fellow American Matt Szymaszek. The match was short and swingy. Seiver started with a 2-1 lead and quickly had Szymaszek down to just a few bets. Szymaszek then managed to come back from a 10-1 deficit to overtake the chip lead. 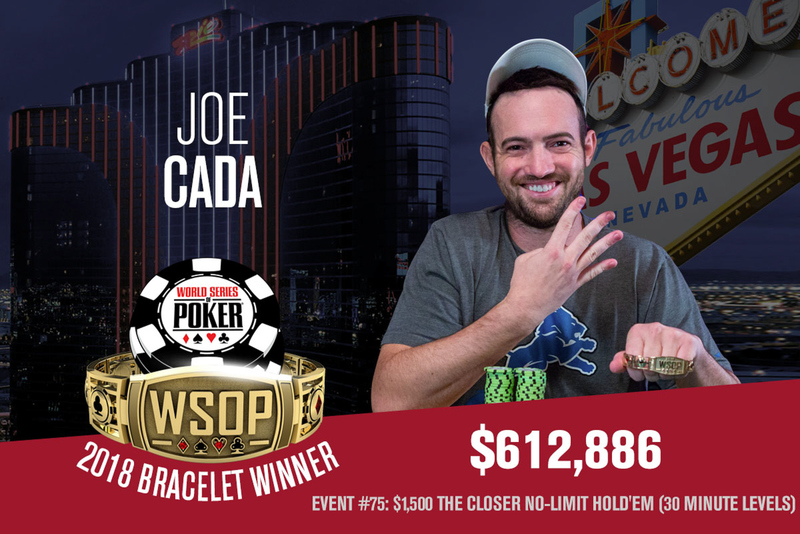 2018 WSOP: Canadian student turns $1.5k into $1M and earns first bracelet! Posted on Thursday, June 28, 2018 by "T". 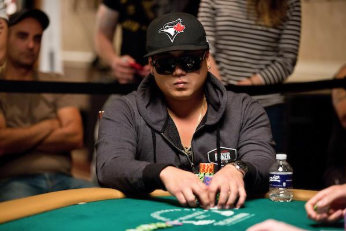 Tommy Nguyen, a 28-year-old Canadian student making his first appearance at the WSOP, outlasted a massive field of 6,260 entries over four days of play in Event #48: $1,500 No-Limit Hold'em MONSTER STACK to win a massive $1,037,451 and his fist World Series of Poker bracelet! Read more » 2018 WSOP: Canadian student turns $1.5k into $1M and earns first bracelet! 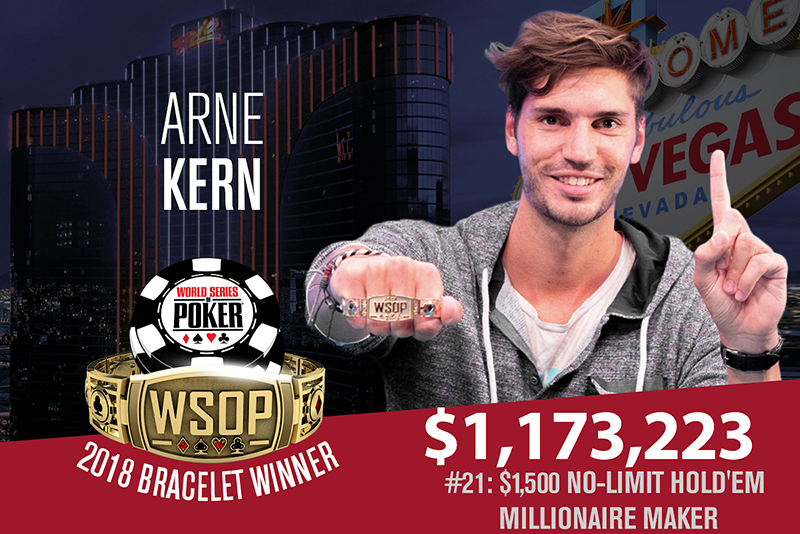 2018 WSOP: Loren Klein Wins Third Bracelet in Three Years! Posted on Wednesday, June 27, 2018 by "T". 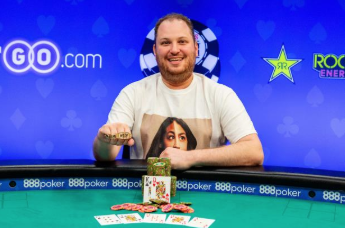 On Tuesday, Loren Klein won the biggest $10,000 pot-limit Omaha championship in World Series of Poker history. 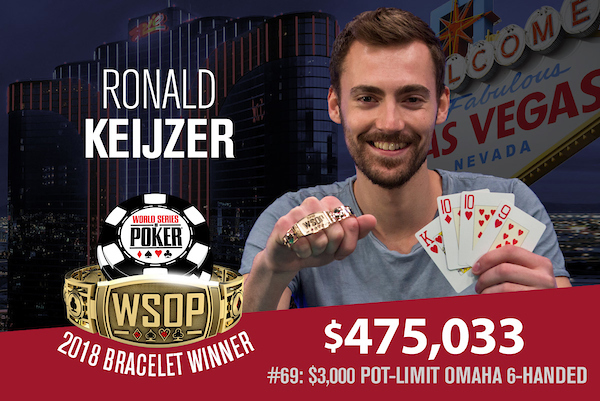 The tournament (Event #49: $10,000 Pot-Limit Omaha 8-Handed Championship) attracted 476 entries and Klein, 32, received $1,018,336 in prize money and his third WSOP bracelet! 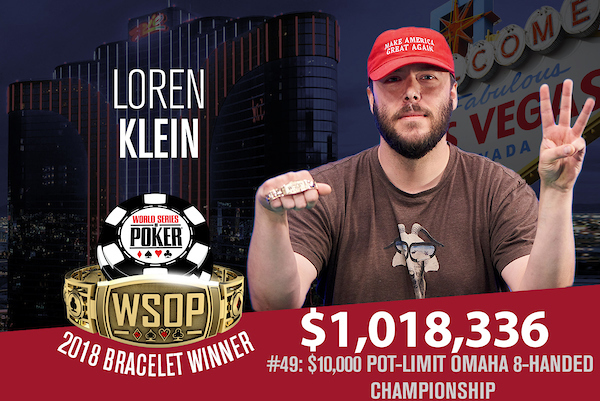 Read more » 2018 WSOP: Loren Klein Wins Third Bracelet in Three Years! 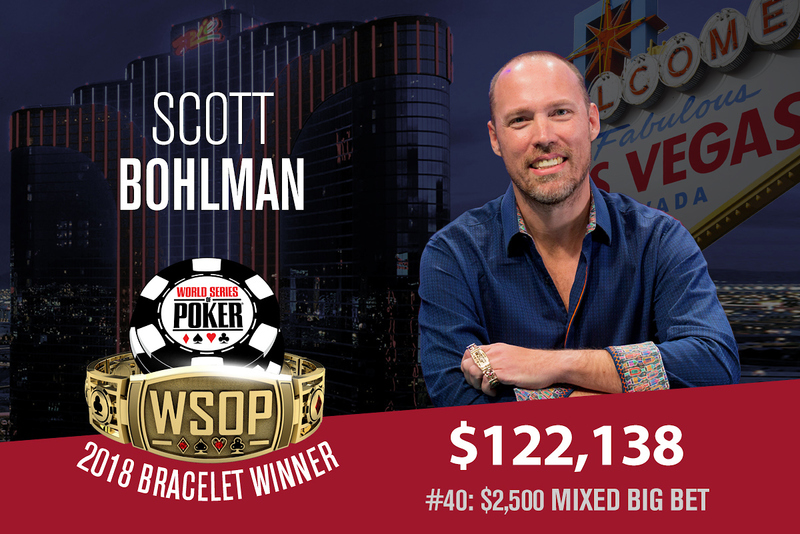 Event 40 $2,500 Mixed Big Bet of the 2018 WSOP has been bagged by Scott Bohlman, who now has cashed for the 51st time at the series, also savors his very first gold bracelet and a nice sum of $122,138 after outlasting a field of 205 players. 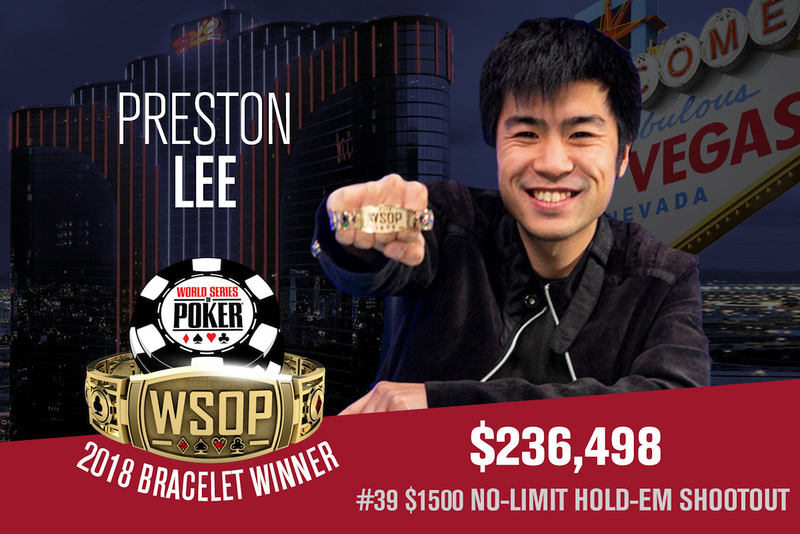 Event #39 $1,500 NLHE Shootout of the WSOP this year has been won by Preston Lee, who now relishes his very first gold bracelet and a sweet sum of $236,498 as his first place prize after more than 12 hours and 121 hands of heads-up play against Corey Dodd. 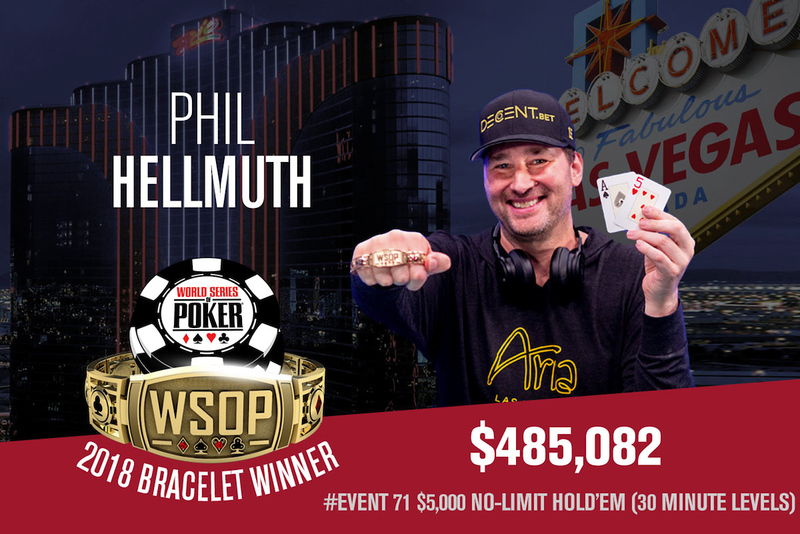 The most recent $1,500 NLHE event at the 2018 WSOP has been a smashing success, attracting a player field of 1,330 entries to build a total prize pool of $1,795,500! The event was so huge that it needed a fourth, unscheduled day of play in order to determine the top winner. 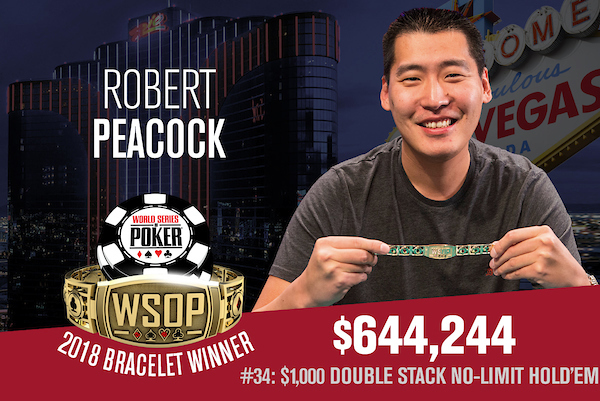 Event #34 $1,000 Double Stack No-Limit Hold'em of this year's WSOP has been won by Robert Peacock, after he managed to outlast a player field of 5,700 entries, winning his very first WSOP gold bracelet and the first place prize of $644,224. 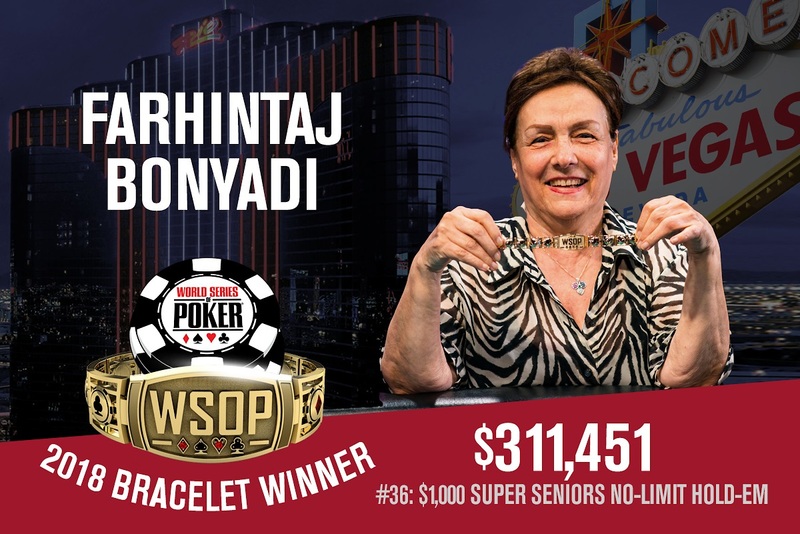 The 2018 WSOP Event #36 $1,000 Super Seniors NLHE has been won by Farhintaj Bonyadi, who managed to outlast a player field of 2,191 players, claiming her very first gold bracelet and taking home with her a nice sum of $311,451. 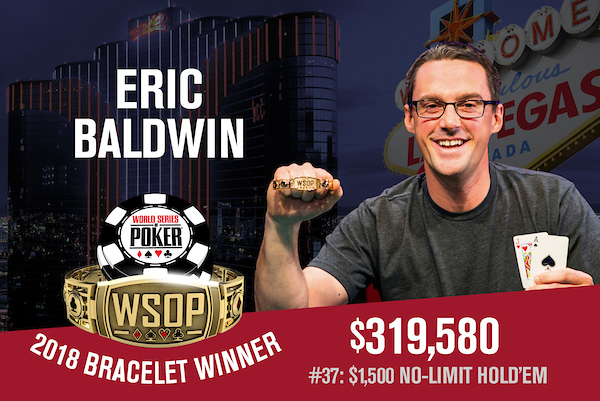 As mentioned before, there's never a shortage of first-time WSOP bracelet winners every time at the prestigious poker festival held annually every summer. 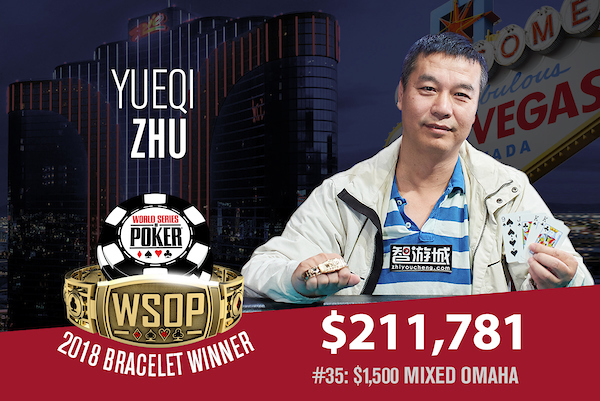 On Monday, another first-timer WSOP bracelet winner is born, and it was Yueqi Zhu who took down Event #35 $1,500 Mixed Omaha after defeating a player field of 773 to win the title and the first place prize money worth $211,781. 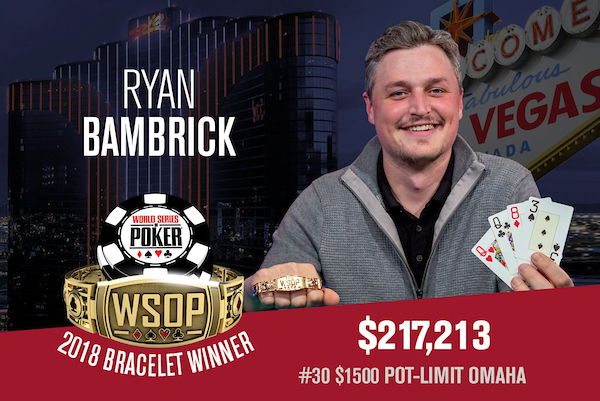 It's a lucky Saturday (June 16) for Ryan Bambrick as he won his first WSOP gold bracelet in the 2018 WSOP Event #30 $1,500 buy-in Pot-Limit Omaha. 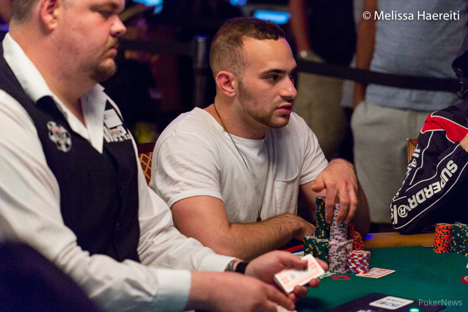 The 30-year-old poker player from New Jersey outlasted a player field of 799 to win $217,123. 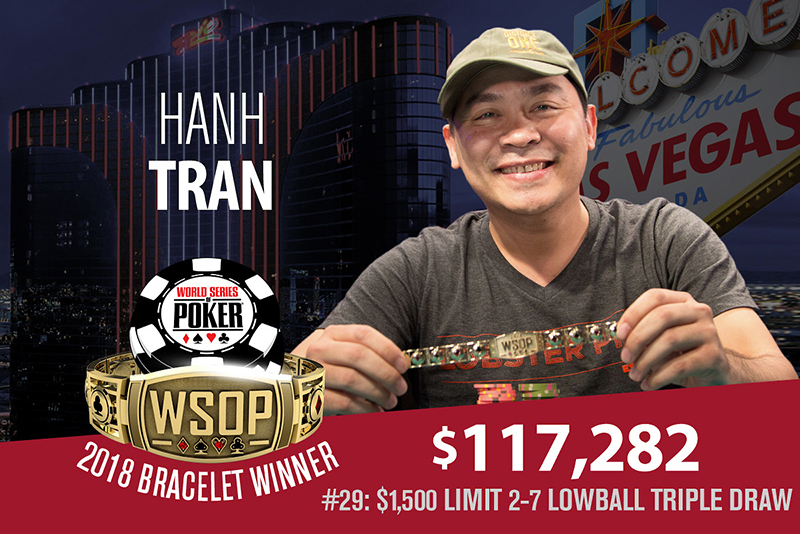 Hanh Tran bags his very first WSOP bracelet in this year's Event #29 $1,500 Limit 2-7 Lowball Triple Draw after being able to outlast a field of 356 players. 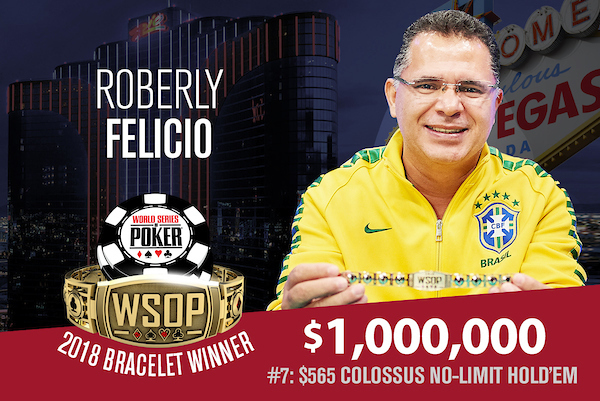 Along with the title and bracelet, he's also won the first prize cash money worth $117,282. 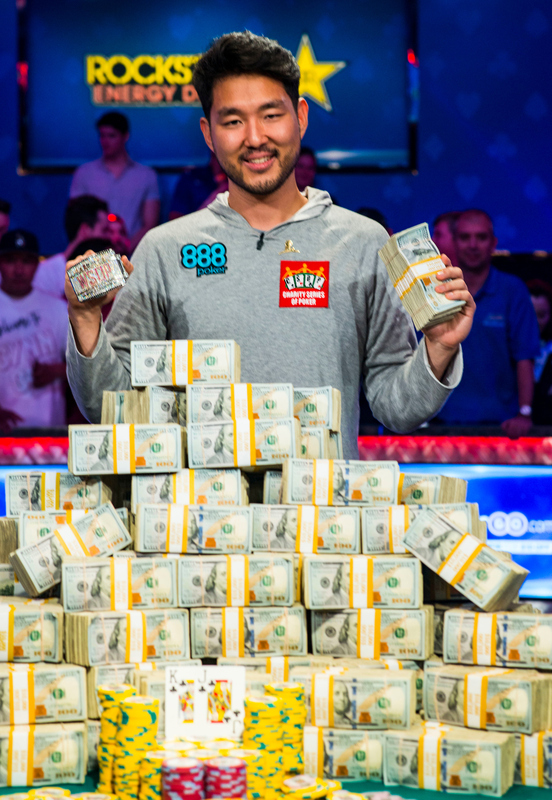 This year's WSOP Event #26 $1,000 Pot-Limit Omaha attracted a field of 986 players. 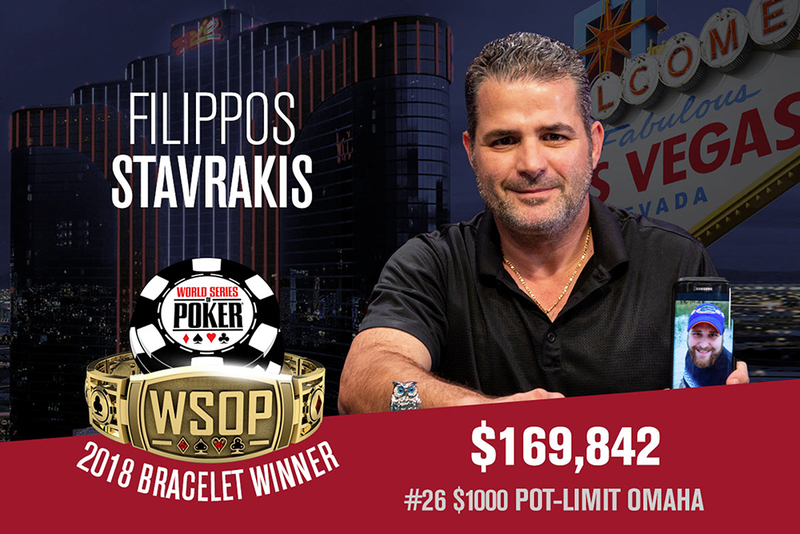 The eventual winner was 46-year-old Filippos Stavrakis, a Maryland resident, who won his first WSOP gold bracelet and a $169,842 cash prize. He dedicates his very first win to his late brother, Jimmy. 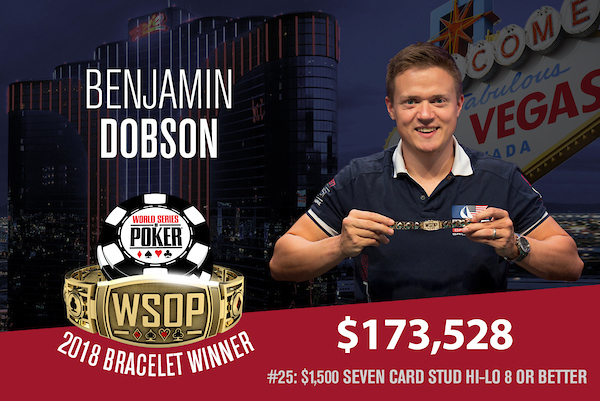 Event #25 $1,500 Seven Card Stud Hi-Lo 8 or Better at the 2018 WSOP is a golden event for poker player Benjamin Dobson, as he outlasted a field of 596 players to win his very first gold bracelet and a sweet prize of $173,528. 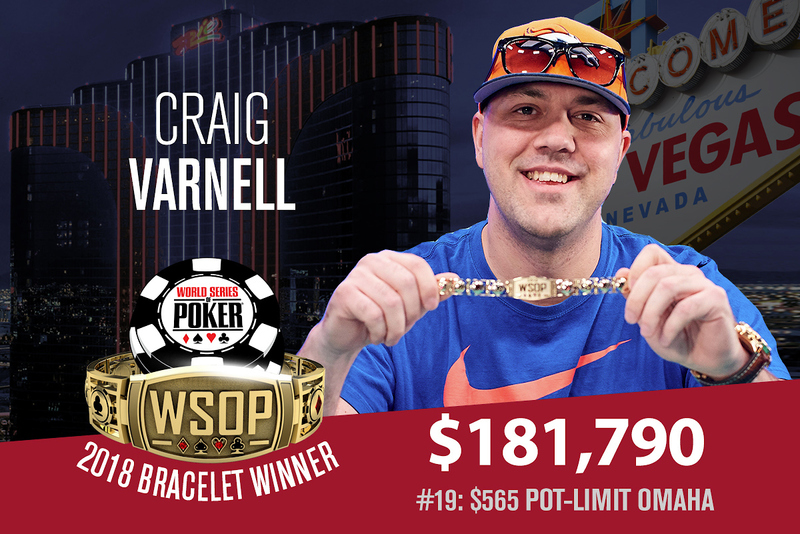 Yet another first bracelet moment for an aspiring poker player just happened at the 2018 WSOP Event #22 $1,500 Eight Game Mix. 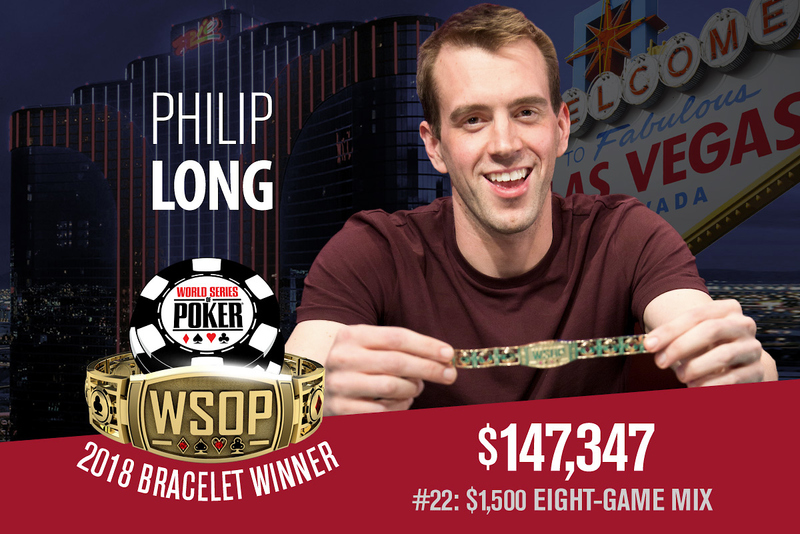 Philip Long outlasted a field of 481 players to win his first-ever live tournament title and of course, his first WSOP gold bracelet. 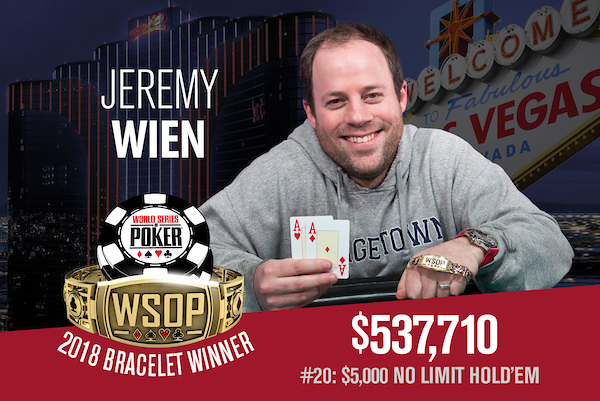 Outlasting a player field of 518, derivatives trader Jeremy Wien has taken the top prize money worth $537,710 and his very first gold bracelet in this year's WSOP Event #20: Big Blind Antes $5,000 No-Limit Hold'em event. 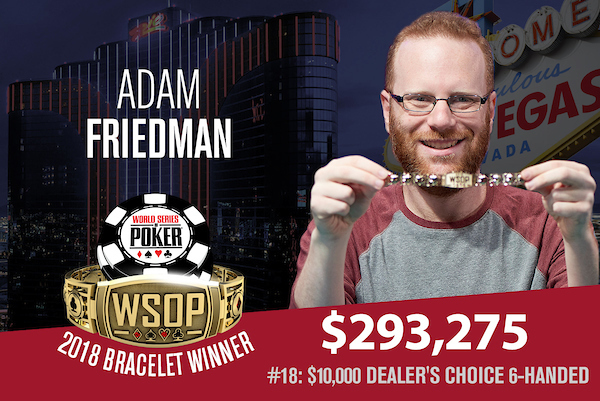 The scheduled 3-day event had to extend one more, fourth day in order for a top winner to be determined, and in the end it was Adam Friedman who took down Event #18: $10,000 Dealer's Choice 6-Handed Championship, outlasting a total field of 111 entries to win the prize money of $293,275 and his second-career WSOP bracelet. 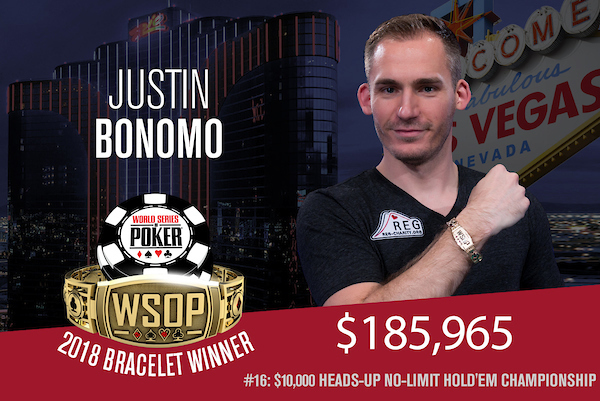 It really appears that Justin Bonomo is an unstoppable force in his quest to earn more money and to add another bracelet to his name in this year's WSOP events. 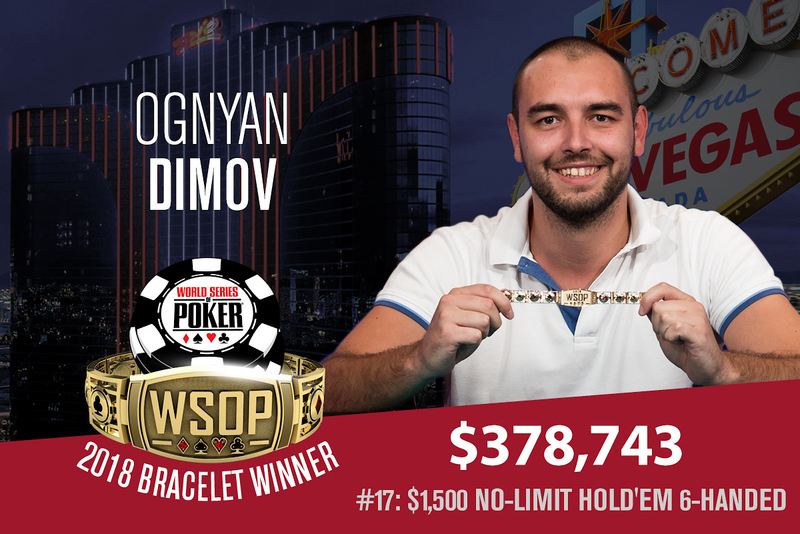 This is the first WSOP bracelet ever for the Russian part-time poker player, and Zhigalov said he has dreamed about winning his first one since he was 16. 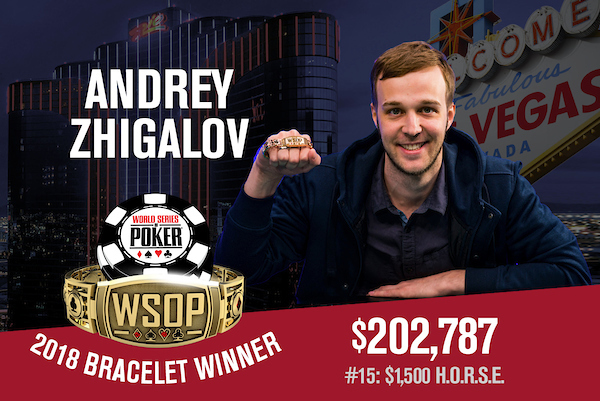 After 3 long days with more than 14 hours of poker play, Russian Andrey Zhigalov has won his first-ever WSOP gold bracelet this past weekend in Event #15 $1,500 H.O.R.S.E. 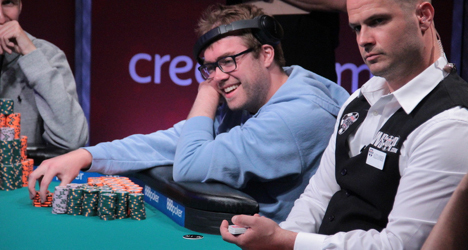 for a memorable $202,787 payout after a grueling heads-up battle against Timothy Frazin. 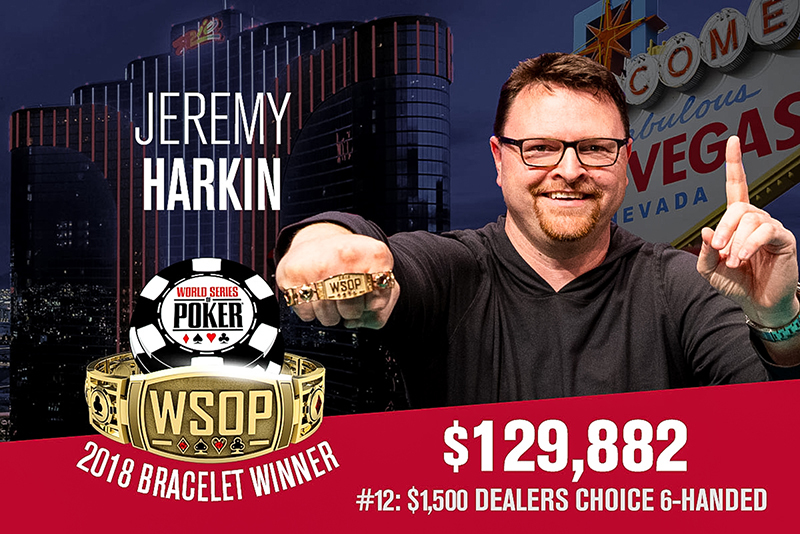 American poker player Jeremy Harkin outlasted a player field of 406 entrants, finally earning his very first WSOP bracelet in his entire poker career and a nice sum of $129,882 as his prize money on Event #12: $1,500 Dealers Choice 6-Handed.